Today there are thousands of third-party libraries and APIs available to developers for creating cool, amazing mobile apps. These APIs are not only rich in features, but they also speed up the development process. With great feature sets, many such APIs comes with subscription plans and can be accessed using API keys which we get during the subscription process. The API publishers earn money based on the number of times the API is accessed. To track the access, API keys are passed with every server requests. So, sometimes, these are stored or hardcoded in the code. Now, for the subscriber, this can be potentially less secure as someone may reverse engineer the application build and fetch these API keys. Losing keys not only affect the billing for the API access but may also lead to privacy issues with the user base of the app. There are different ways in which API keys can be kept hidden. 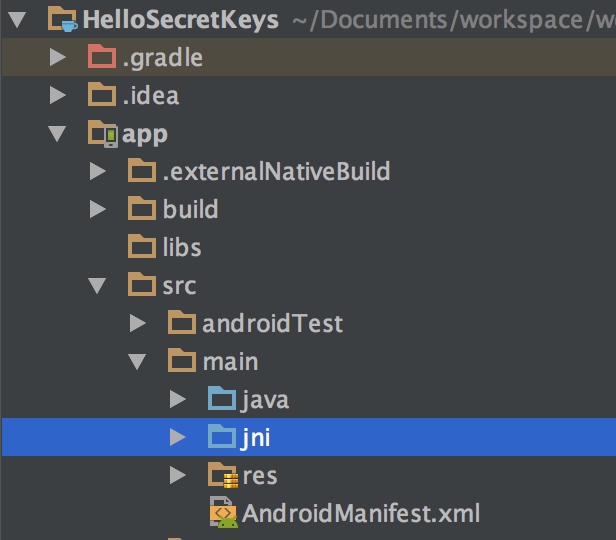 I will show one of such way of storing keys in the native C/C++ class and accessing them in our Java classes. Please note that this is not full proof and you can still extract the keys. However, this will add an extra layer of obfuscation for your keys. Please note that this is not full proof and you can still extract the keys. However, this will add an extra layer of obfuscation to your keys. Here, “Java_com_tyagiabhinav_hellosecretkeys_MainActivity_getNativeKey1” represents the Java code with package name “com.tyagiabhinav.hellosecretkeys” followed by Activity name “MainActivity” where we want to call the native function and the static method “getNativeKey1” to fetch the API key from the native function. In the above code, I have encoded the actual API key using Base64 encoding. 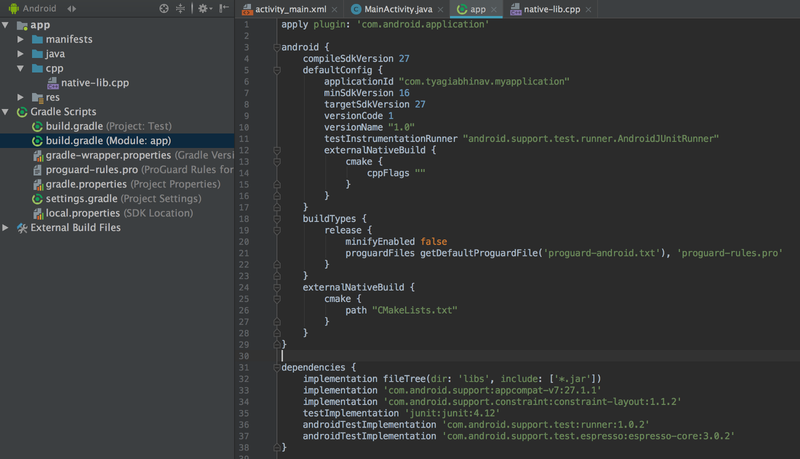 We need to provide the path for our “Android.mk” file. 10. 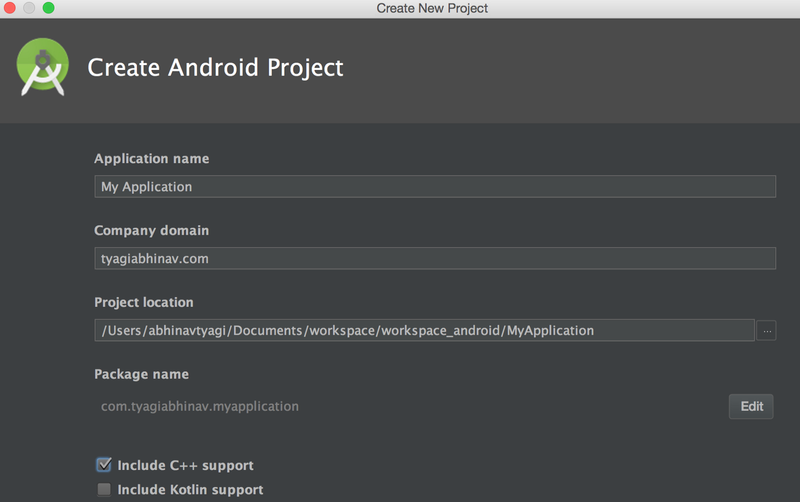 Now, sync and build the project. Make sure, you have pointed the NDK path correctly in your module settings. 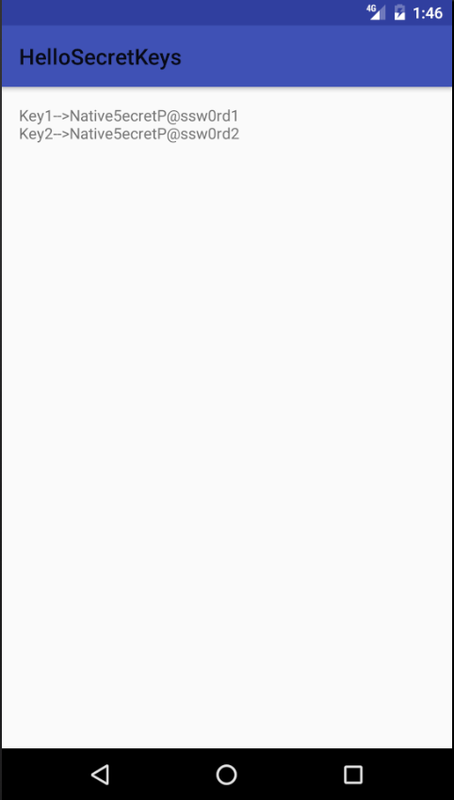 Please refer to the GitHub project for the demo app. 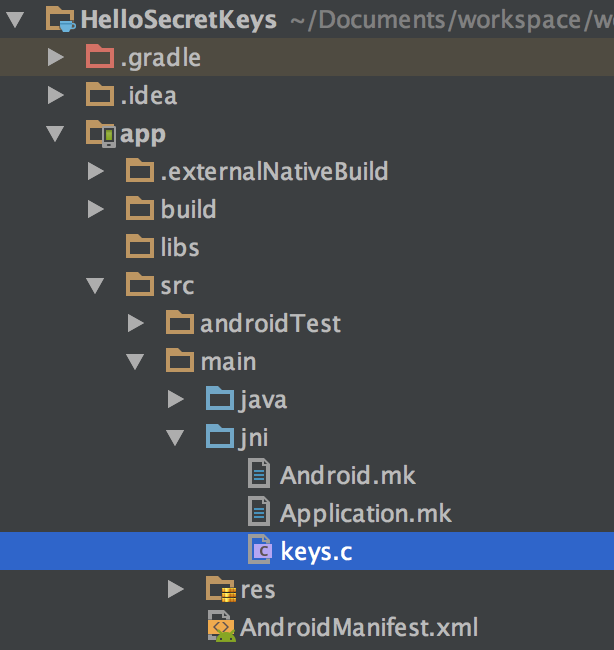 In the newer updates, Android Studio can automatically create the above steps and help you obfuscate your Keys. 3. 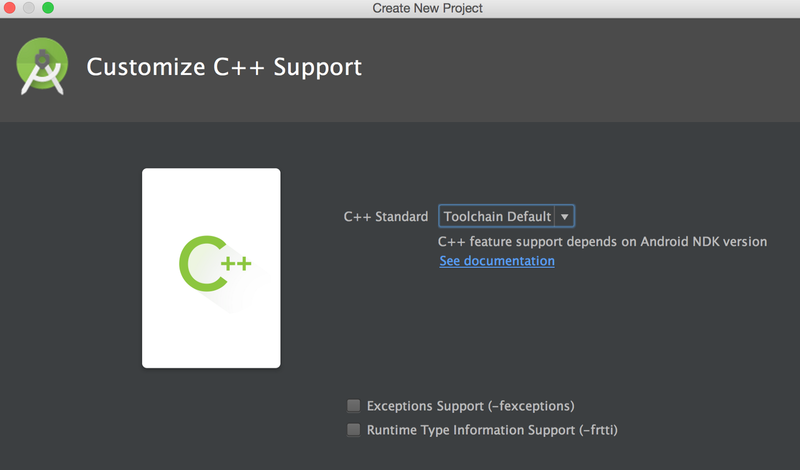 Open the pre-written C++ class “native-lib.cpp” and rename the method to “getNativeKey” or your own preferred name and enter the Base64 encoded key. You can also have some sort of encryption added to it. 4. Open the Activity class and call the “getNativeKey” method and fetch the key. Make sure to decode/decrypt it. The GitHub project has been updated and tested for those who are still using older implementation.